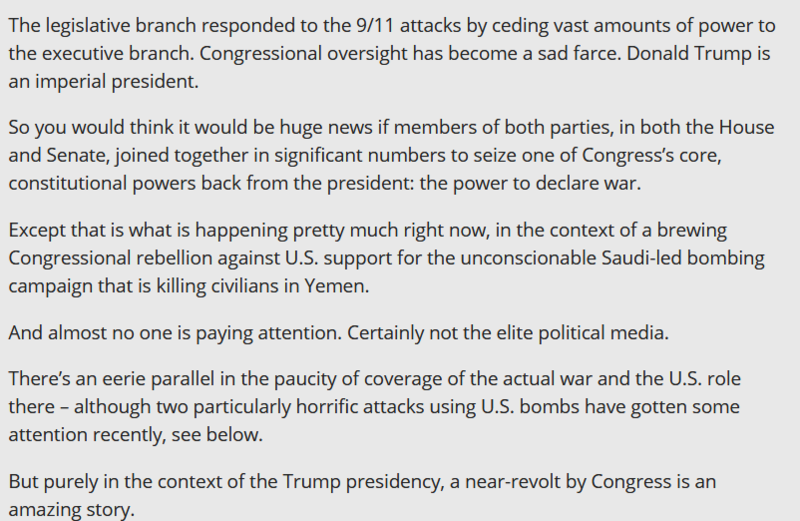 Congress gets a spine and nobody notices because it’s about Yemen. But of course, it turns out that he wrote it. This entry was posted in Dan Froomkin, Politics: International. Bookmark the permalink.